Dragons are the most interesting animal that never existed. No other mythological creature has had such far reach across cultures and centuries nor so much lore behind it. They’re even mentioned in the Bible, albeit as a symbolic representation. But despite being so universal, they are also diverse. Although many cultures have dragons in their mythology, their designs vary widely, and some of that might have to do with translation issues. They are often lizard- or snake-like, can often fly, sport spines and horns, and have magical attacks like breathing fire. Many don’t follow these patterns, though. Even so, most dragons of legend fit into one of several categories. The most common classification. 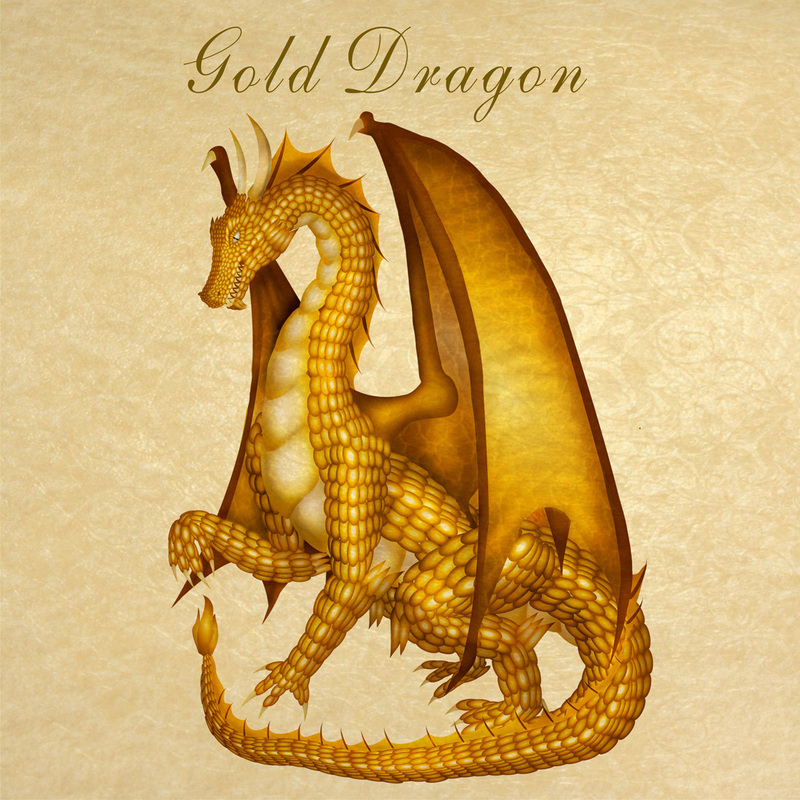 People also know them as western dragons, because they mirror the designs in medieval Europe. They have four legs (some can stand up on the hind ones, others walk on all fours), a pair of bat wings for flying, and can breathe fire. Scales cover their bodies, like lizards. This is where things get controversial. Almost every recent film featuring dragons has what would more technically be called the wyvern design, or at least the updated version of wyverns. 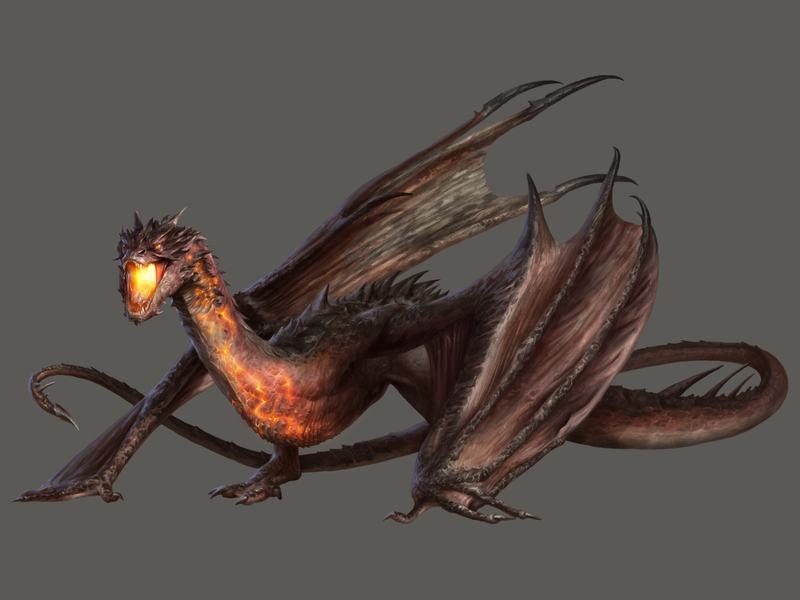 Originally, wyverns were smaller, didn’t breathe fire, and had a poisonous spine on their tails, like scorpions. Design-wise, their biggest difference was that they had no forearms, only two hind legs and two wings, which they used to walk on when grounded. 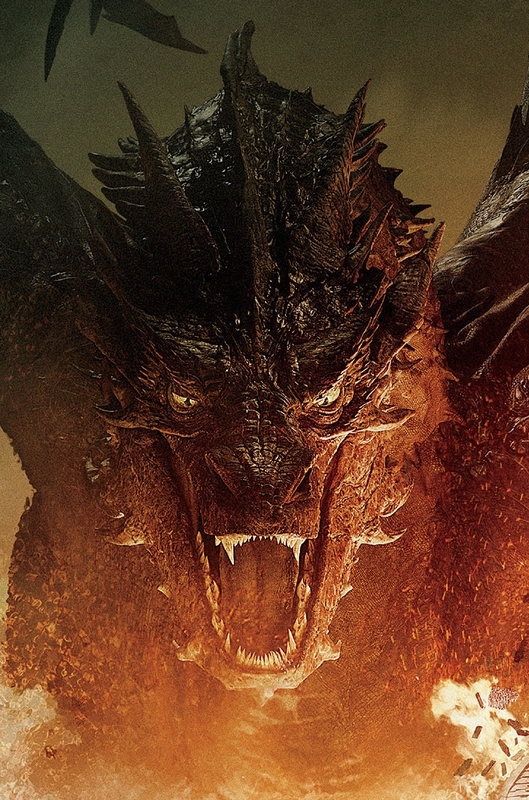 Now, think back to every major dragon depicted in film in the last decade or two. 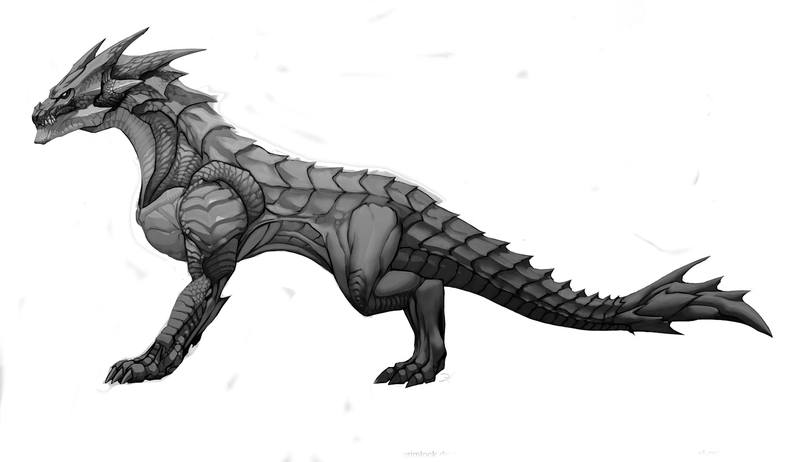 Harry Potter dragons, Reign of Fire dragons, and Smaug in The Hobbit (despite Tolkien himself drawing him with four legs), plus the dragons in Game of Thrones and Skyrim, they all followed this design, even though people called them dragons. The only exception I can think of is How to Train Your Dragon, an animated film. There are a few reasons for this. One is a sense of realism: excepting insects, there are no hexapods (animals with six limbs) that we know of. Bats, birds, and even pterodactyls all follow this design of the forearms being wings. Here is another reason. Personally, I dislike this trend. They seem less intelligent and more animalistic this way, in my opinion, and less true to their source material. Plus, it creates confusion, especially in the cinematic Lord of the Rings universe: if Smaug the dragon has only two legs, then what were the creatures the Naz’gul rode in the original trilogy? Smaller dragons? The wyverns might be more realistic, but come on, they’re dragons. The number of legs isn’t going to change the fact that they’re too big to fly, or even exist, and they wouldn’t be able to breathe fire. It seems silly to worry about them being hexapods without addressing that issue. I’m going to lump several types of dragons in this category. This includes eastern dragons, associated with China and nearby areas. They are either serpentine with no legs or long with two to four legs. They don’t have wings, but can often fly using magic. These dragons are such a part of their cultures that they’re the only mythological beings in the Chinese zodiac. They are often more benevolent than the fire breathing dragons of the west. There are some other versions and classifications, but there’s no need to go more specific. 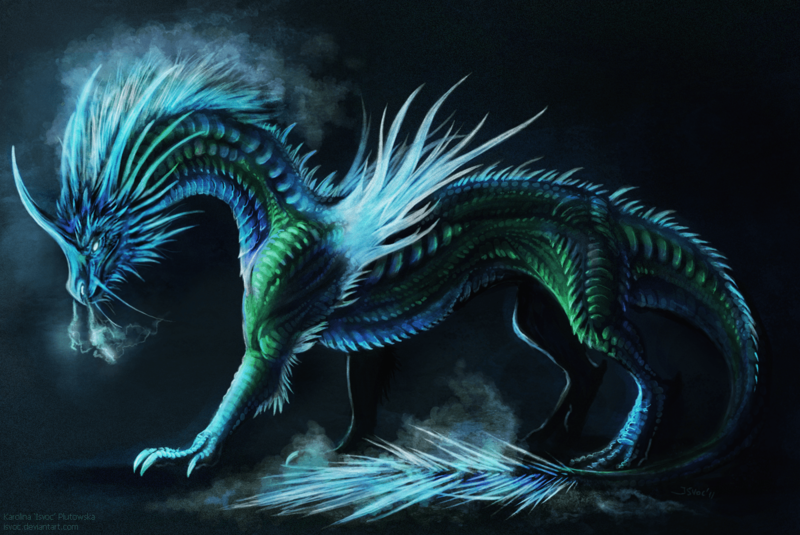 Some differences between dragons include what type of breath they have, whether they have scales or feathers, what colors they are, and many other things. Just for fun, here are some famous dragons to grace myth, book, and screen. Smaug is the most famous dragon in LotR, although not the biggest. He is the enemy in The Hobbit who treasures his hoard of gold and dies from a well placed arrow by a character who comes out of nowhere. In the movies, Bard has a little more characterization and pulls a reverse William Tell, shooting a dragon using the head of his son. He is a dragon in the book, wyvern in the movies. This dragon became famous for growing so big it wrapped around the world and bit its tail. When it lets go, Ragnarok will begin. Sounds like a wyrm. 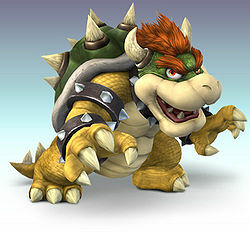 He has spikes, breathes fire, and kidnaps princesses, so he’s a dragon. Or a turtle. No, dragon sounds cooler. I’d classify him as a drake. 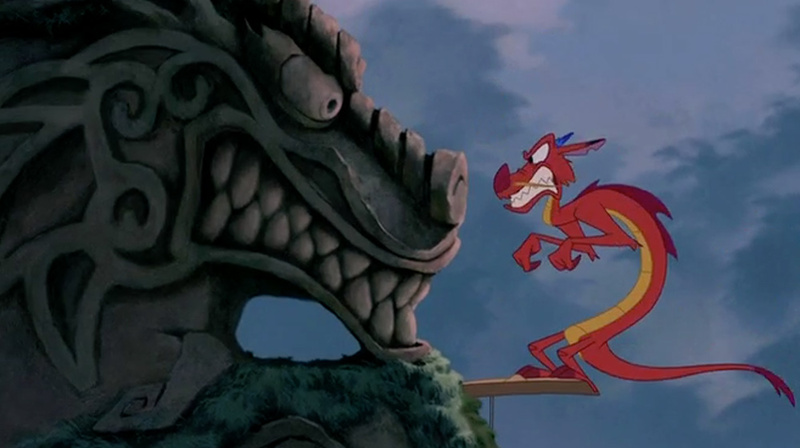 The most famous Disney dragon, he’s also one of the smallest. But he’s got enough attitude to make up for it. He is a wyrm. 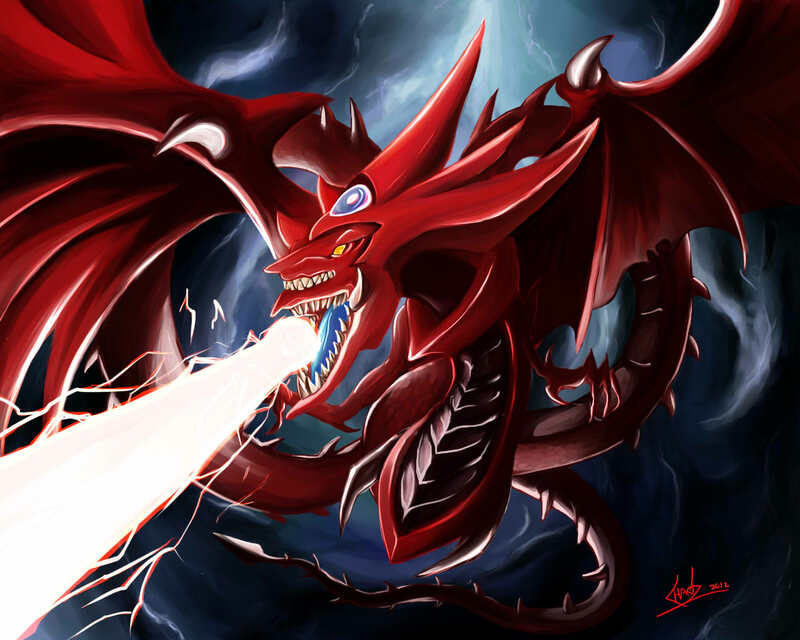 Yu-Gi-Oh’s first Egyptian God, this dragon is of indeterminate length. Probably a wyrm. 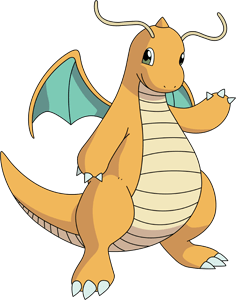 Of the original Pokemon, this one is the only one classified as a dragon, even though Charizard looks quite similar. Western Dragon. And if you want to see more on the science of dragons, look at this video. Where are all the good fantasy films? Quick! Choose your favorite fantasy film. Or films. It was Lord of the Rings or Harry Potter, right? Both? Let’s be honest. There’s not much more than these two franchises that have graced the silver screen when it comes to representing fantasy. At least traditional fantasy. So let’s define fantasy for this article’s purposes. When I talk about fantasy, I’m not talking about Pixar where toys and cars come alive and rats can control people by pulling on hair. Nor am I talking about fairy tales where true love’s kiss cures all ailments (or doesn’t), although this is closer. I’m not talking about dystopian futures where kids kill each other for entertainment. Nor am I talking about space operas about space knights and space wizards that are supposedly classified as science fiction but have nothing based in science at all. And I’m not talking about people with superpowers who fight crime and other people with superpowers. No, if you count those, then fantasy in films is making more money than all the rest of the genres combined. Which is why it’s so baffling that Hollywood doesn’t do more of the traditional fantasies, and that when they do, they mess them up. Lord of the Rings was a huge success, both commercially and critically. But while there’s a wealth of book and video game material to choose from, Hollywood has shied away from what you traditionally think of in fantasy, with magic and dragons and swords. TV has had some moderate success, with Game of Thrones topping it, as well as shows like The Magicians, Supernatural, Once Upon a Time (although this is more fairy tale), and The Shannara Chronicles. If you look into animation, you can find Avatar: The Last Airbender and several anime series. Perhaps the longer format is better for telling the epic stories of fantasy, instead of cramming a large book into one movie (each of the Lord of the Rings) or one small book into several movies (The Hobbit). But putting something on television, unless it’s network television, limits the audience. How many people have HBO? Nickelodeon? SyFy? Yes, you can buy discs on DVD, who buys DVDs nowadays? There have been attempts at establishing other franchises, but many have fizzled out. Narnia, Percy Jackson, Warcraft (probably), Alice in Wonderland, etc. So what’s in the making, or what has been done? Game of Thrones has already surpassed the timeline of the books and is doing quite well. It is the poster child of fantasy fiction on TV. But that means we won’t see any movies. The Magicians also seems to do pretty well for a SyFy show. But this anti-Narnia/Harry Potter is almost parody, not real fantasy, so I don’t know if it counts. The Shannara Chronicles is a series on MTV, entering the second season. I actually watched it on Netflix, but like its source material, I found it pretty shallow. So where are series like The Wheel of Time? Well, that might be coming to TV. Eventually. Maybe? There was an announcement nearly a year ago, but it didn’t give any details. So I’m kind of skeptical on that. And even if it does happen, would it be any good? Would it have the same budget as Game of Thrones, or would it be more like Shannara Chronicles? That is a big issue for TV shows delving into sci fi and fantasy. What about The Sword of Truth series? Well, that was made into a TV show called Legend of the Seeker. Most accounts say it’s not very good. What about Brandon Sanderson’s books? Well, there’s hope for this. He recently had his Cosmere Universe movie rights sold to DMG. So all his books in the Cosmere could become films. But there are a few issues that concern me. First, would they fit into two and a half hours? Second, who’s DMG? Would they actually be able to pull it off? We’ll have to see. Finally, King Aurthur, which tends to be more psuedohistorical and not magical in film, is getting another movie this summer. Will it be fantasy? More importantly, will it be good? Who knows? Final Fantasy created a movie called The Spirits Within, completely CGI. While advanced for its time, the characters entered the uncanny valley and the plot revolved around some mumbo jumbo philosophy, so it bombed. Other films, like FF7 Advent Children and FFXV Kingsglaive were pure fan service. Warcraft became a movie, but wasn’t very successful here in the USA. We’ll see if there’s a sequel. So in the end, if you look hard enough, you can find some fantasy fare outside of books and video games, of different levels of quality. And there is hope for the horizon, but they aren’t necessarily good. Still, I believe Hollywood as a whole is missing out on fulfilling audience desires of escapism, and nothing does it better than fantasy. What books or stories would you like to see on film or TV? Have you seen the Warcraft movie? Me neither. I don’t even play World of Warcraft. But I did play Warcraft 2 and 3. And the series as a whole has been concerned mostly about the conflict between humans and orcs. But what are orcs? In this series, they’re green. In Tolkien, they’re different. The Lord of the Rings movie trilogy had them as black. The Hobbit trilogy had them as white, even with the same director. Other series have borrowed from the concept of orcs and have their own versions. So let’s try to define orcs, inasmuch as possible. Orcs were created by Tolkien as an alternative name to goblins. They share linguistic roots with the word Ogre. Orcus was latin for the underworld and then came to mean demon. So while Tolkien created what we know as orcs, they have been floating around in our mythology for a long time, just under different names. Some works even have them at the side of smaller goblins and larger ogres and trolls. But Tolkien unwittingly solidified them into their own separate race, since the Uruk’hai did not appear like the goblins of Myth. In the majority of traditional works using orcs or other creatures of a similar vein, they fulfill the trope of Dark Lord’s armies. Basically, they are the faceless, evil, stupid, or all three. And while they might be physically intimidating, their only real strength is in numbers. If not threatening, then they are at least comic relief.. They are nothing more than an obstacle. And not even the main obstacle. They are the underlings of the true antagonist, like Sauron. They have no culture, no morals, no worth. These orcs are that way so that the protagonists can have enemies they can kill without remorse. If Gimli and Legolas had to kill humans instead of orcs, they wouldn’t be boasting about how many they killed. Seeing your enemy as human makes them appear less like your enemy. That is why leaders go to such lengths to portray enemies as subhuman, as ‘Others.’ And attempts to make your own army more frightening by deemphasizing their humanity just backfires. See Stormtroopers, the orcs of a galaxy far, far away. With these orcs, the hero is shown as awesome for defeating them, without the moral stains of spilling blood. Because orc blood is green goo. It’s not a sin to slay them. Modern revisionist orcs have taken on a different tone. Where in the first few Warcraft games, they resembled Tolkien orcs in purpose, by Warcraft 3 they were given culture and turned into another trope: the noble savage. They are a mishmash of different tribal cultures, not less intelligent than humans but not as advanced technologically as the humans they fight against. The conflict is more a conflict of cultures than good versus evil, and they are sometimes even portrayed as more righteous than humans, especially when it comes to ecological concerns. They are more connected to the earth. In essence, they are more green than humans, in every sense of the word. As a side note, I’ve never liked the Noble Savage trope. It always seemed too patronizing and simplified. Native Americans, for example, were just as complex as the Europeans that invaded their lands, having both good and bad things about them. They may have respected the earth a bit more, but that would have probably changed if they had discovered metal forging on their own. They were humans, just like everyone else. Generally portrayed as humanity’s enemy, they may be humanized or monsturized, but they are not human. Or are they? That depends. First of all, are orcs mammals? Most accounts point to the answer being yes. We generally don’t see them laying eggs. They often have hair. When there are females, they are shown with breasts. Seems like mammals to me. Aside from their coloring, the biggest difference between orcs and humans are their faces. Orcs generally have upturned noses and sometimes tusks. What does that remind you of? Pigs. Warthogs. The Welsh word for pig is Orc. Orc rhymes with pork. The thing that seems to unite all versions is this: they’re pig men (as if men weren’t already pigs). Just like it’s hard to create something completely original, so people have just been combining animals and humans to create their monsters, orcs are basically human pig hybrids. Pigs are disgusting. Orcs are meant to be disgusting, so you don’t feel sympathy for them. So orcs don’t appear to be human, but some sort of distant cousin to them, not only because they are portrayed as a hybrid, but because they can often interbreed with humans. Any two species that can interbreed can’t be too far apart. Maybe they are green neanderthals. The Warcraft orcs are bigger than humans, wielding massive weapons. It’s interesting that they are built so blocky (because of the original overhead view on the computer screen) as they would need to be more blocky to survive at that size. Even at 7 feet tall, with their bulk, they would weigh several hundred pounds, looking more like gorillas than humans. Could something that big survive? Maybe. They would have to eat a lot to sustain that weight, which would be hard as carnivores. But it would make them a lot more powerful than a human. So powerful any fight between them would be unfair. Yet for some reason the human hero always wins. So were do they go from here? Will they no longer be used as much, because audiences no longer want such simple enemies? 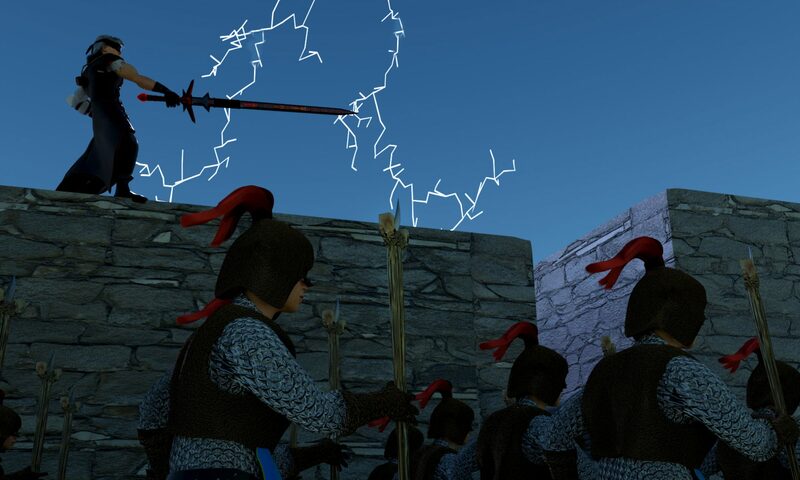 Will the noble orcs be replaced by human noble savages? Is there a new branch of storytelling for them to follow, something different than what came before? Will they ever get a chance to be taken seriously, as a real threat to humanity in and of themselves, and not guided by a dark lord? I think that if they do continue on, it will be in a reinvented form that rejects the two mentioned above. Maybe they will be truly alien instead of pig men. There’s the potential for more, or the potential for them to disappear. Only time will tell.